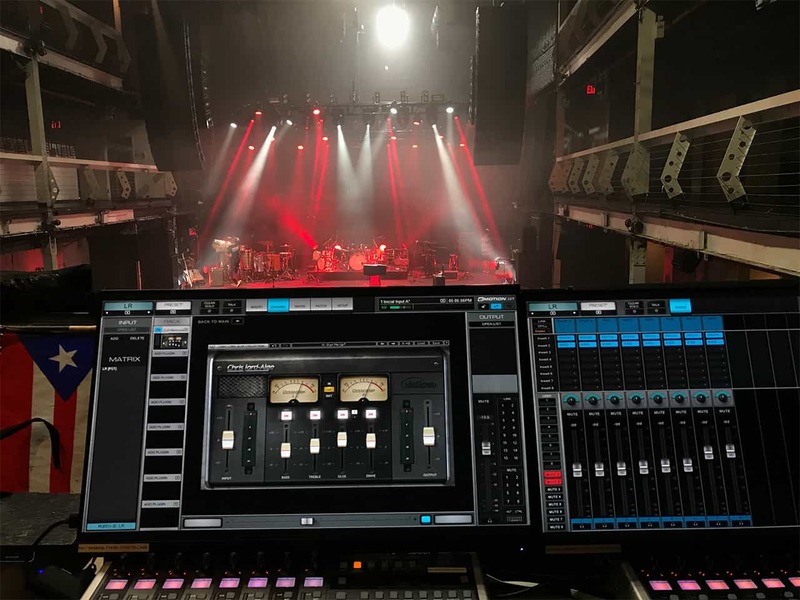 FOH engineer Luis Irizarry (Luis Fonsi, Calle 13) mixed the latest tour by hip-hop artist Residente using the eMotion LV1 live mixer. 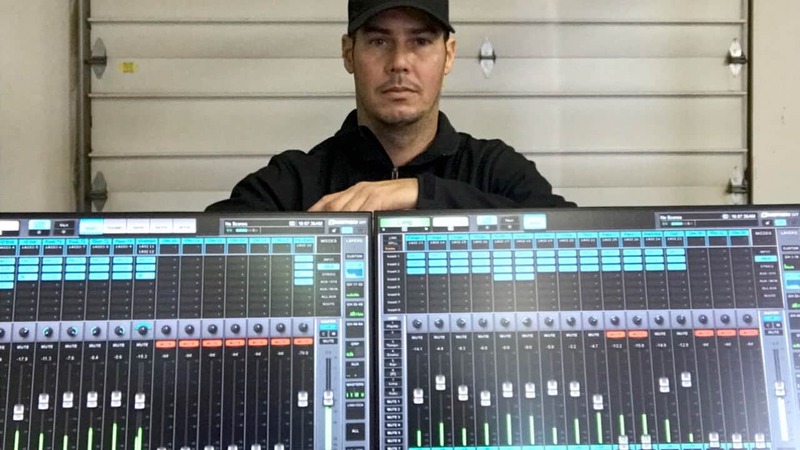 We’ve asked him which mixing tools helped him keep the shows sounding spectacular and tight. 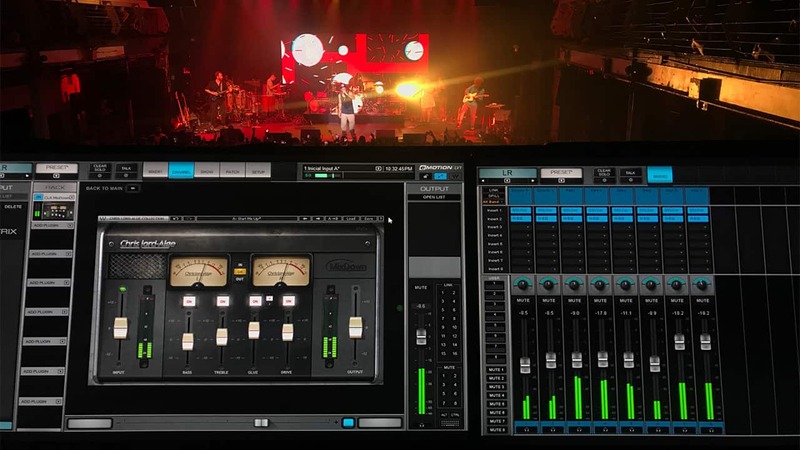 We took advantage of a short break in Luis’s tight schedule, mid-tour with popular Puerto Rican rapper Residente, to ask him about his choice of the eMotion LV1 mixer and get his tips about mixing vocal, drums, percussion and other instruments on the tour. What are you looking for in a console, and what were the LV1’s main benefits for you? The first thing that grabbed my attention with the LV1 was the option of having a console so portable and versatile. 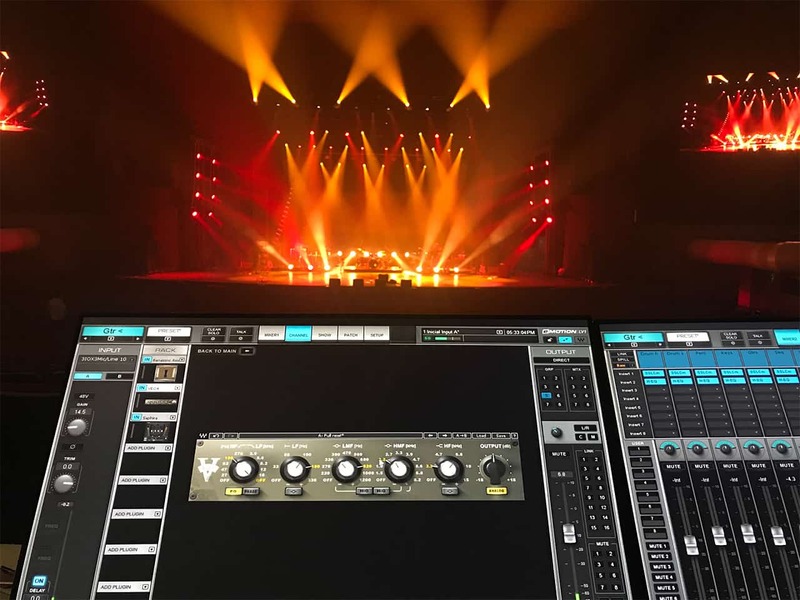 I can use it in a huge show of 30,000 people, and then I can just as easily mount it in my hotel room and tweak the sound using a recording of the show. This makes virtual soundcheck before the show a no-brainer. So, the setup is seamlessly simple. But above all, the sound quality is just INCREDIBLE. And, of course, Waves plugins are easily accessible from the LV1, which means that I can use the same plugin presets used in the albums. This enables me to have the show sound as close as possible to the mix of Residente’s CDs. Which plugins have been your go-to’s on the Residente tour? I’ve made three big discoveries lately: Waves Torque, the F6 Dynamic EQ, and Primary Source Expander (PSE). 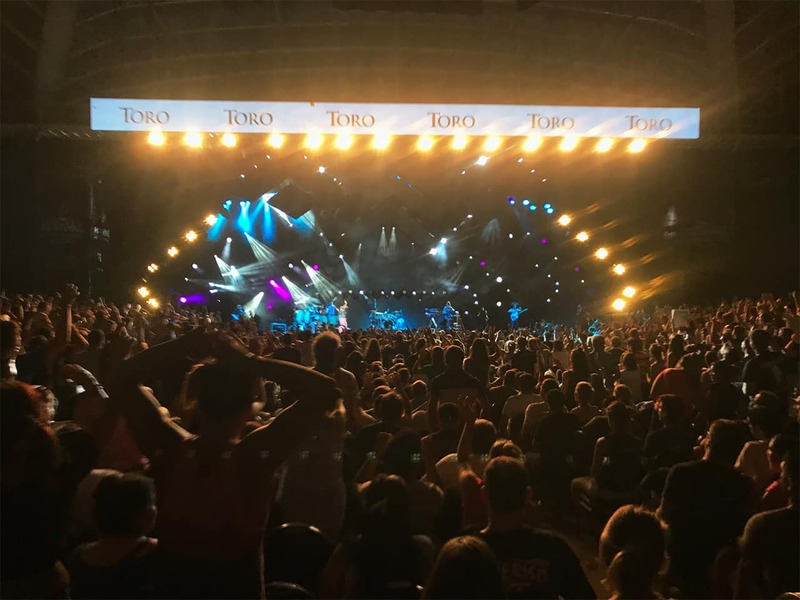 Torque has been spectacular on this tour – a very powerful tool. I use it mainly on the snare drum. It lets me tune the snare differently – higher or lower – from song to song, without having the drummer change the physical snare drum. Same snare, totally different sounds. With Residente, some songs need to sound more electronic, so I have the snare tuned higher, while other songs need to have a more organic-sounding snare, so I tune it lower. Another one is the F6 Dynamic EQ, which I use on the main voice channel. It’s a life saver. René’s (René Pérez Joglar, a.k.a. Residente) vocals are extremely dynamic. The way he holds the mic, moves away, gets closer, covers it with his hands... With the F6, I can keep the voice faithful to what it is on the CD. I use it to control the frequencies between 1.7k to 3.8k, where the changes are especially noticeable. Another must-have plugin for me is the PSE (Primary Source Expander), which I use on guitars, vocals, and some percussion channels. It’s an expander that helps me control the noise on the stage, the noise produced by the PA system and the noise of the audience’s screams. It makes me feel like I have an assistant who is focused on controlling the faders of the vocal channels. It’s one of the most powerful tools out there for live sound. What do you mainly use for the vocals, other than the F6? This show has a lot of dynamics, and the most important challenge is making sure that the vocal does not get lost in the mix. For Residente’s main voice channel I use serial compression. For that I first use a CLA-76 Compressor and then a CLA-2A. The CLA76 very quickly corrects the signal peaks, while the CLA-2A is smoother, being an electro-optical tube compressor. I try not to compress more than three dB in each compressor, because in live sound there’s considerable spill from the stage. I tend to use the SSL G-Channel to make some adjustment of equalization and adjustment of high-pass and low-pass filters. The color that this plugin offers is very subtle, but at the same time it has unique character. I like to use the SSL G-Master Buss Compressor too, because its compression is quite transparent and at the same time you feel that the mix is tightening up. Another favorite is the H-EQ which is so versatile. I use it a lot in MS Mode to apply different equalization to the sides. It’s a perfect tool for enhancing a broad stereo image. Residente’s rhythm section is very percussion-heavy. How do you manage all those complex drum and percussion sounds? Yes, the rhythm section is massive. It’s a challenge to maintain a controlled and clean mix when you have more than 30 mics that are open all the time, and 22 of those are positioned on the drum kit and percussion. 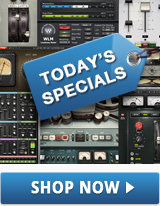 On the drum kit, I use Waves CLA Classic Compressors and the SSL E- Channel. On percussion, I use Waves CLA-2A Compressor, the SSL E- Channel and – again – PSE to reduce the noise. Another challenge in this show is the piano, which is quite prominent and needs to cut through with full body and presence. Residente’s keyboardist uses a Nord Stage 2 EX 88, which I process with the Waves CLA-2A, the SSL-G Equalizer, and the C4 Multiband Compressor. The C4 helps me handle all the piano channels’ frequencies, creating an organic and more natural sound. What’s been your basic eMotion LV1 setup for this tour? I use a Windows 10 professional computer, with 16GB RAM, 512GB SSD hard drives, two touchscreen monitors, and Waves’ Icon Platform controllers for faders. For DSP, I use a SoundGrid Extreme Server; for I/Os, the DiGiGrid IOX and DiGiGrid IOC units. Using a MacBook Pro with the Waves Tracks Live recording software, I can record the show and do a virtual soundcheck with the Tracks Live playback. Basically, using the LV1 and Waves plugins gives me the confidence that I am in total control of the sound. Basically, the eMotion LV1 console has everything I need at FOH, with outstanding sound quality. It’s so versatile – I can run it in my living room today, then use it at FOH tomorrow.